Get out and play in your own backyard. 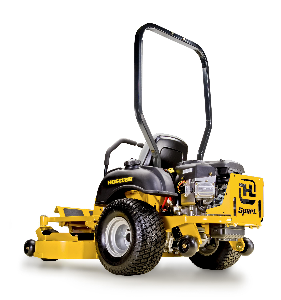 Built to Hustler's high standards of rugged dependability, the Sport packs true mowing power on welded steel decks and tubular frame. Cut grass, not corners. The Hustler Sport is a zero-turning, grass-eating blast. With SmoothTrak™ steering, there is no tree it will not hug, no corner it will not conquer. Designed for homeowners who want a great value, the Sport turns the chore of mowing into an afternoon delight. Yet underneath its peppy spirit lies a rugged workhorse. The Sport’s steel frame and welded deck are the toughest in its class. 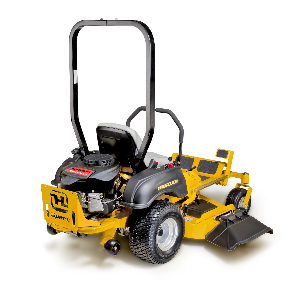 It boasts the power to turn the most challenging yard into a perfectly cut sea of green. And with its incredible durability, you’ll spend more time enjoying your lawn and less time taking care of your lawn mower. 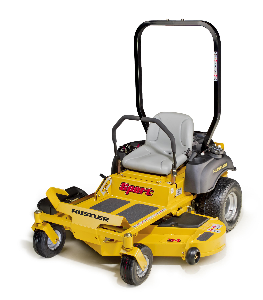 With a Hustler Sport, mowing has never been such a treat. Hydrostatic transmissions for true zero-degree turning manoeuvrability. Toughest frame, front forks, and deck in the industry. Simplest maintenance in the industry. SmoothTrak™ steering with patented automatic park brake system. 42’’, 48’’ and 54’’ side-discharge/mulching/catching decks.